Residents have regular opportunities to teach medical students on clinical inpatient services and in the Family Medical Center. While on the Medicine rotations at the Veterans Affairs Medical Center andHarborview Medical Center in the second year, residents co-supervise first year residents and medical students assigned to their service. Additional volunteer teaching opportunities are available if desired. 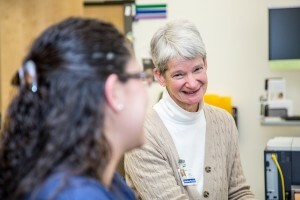 A Chief Resident position is offered as a junior faculty position which includes an emphasis on student and resident teaching and supervision in the Family Medical Center. 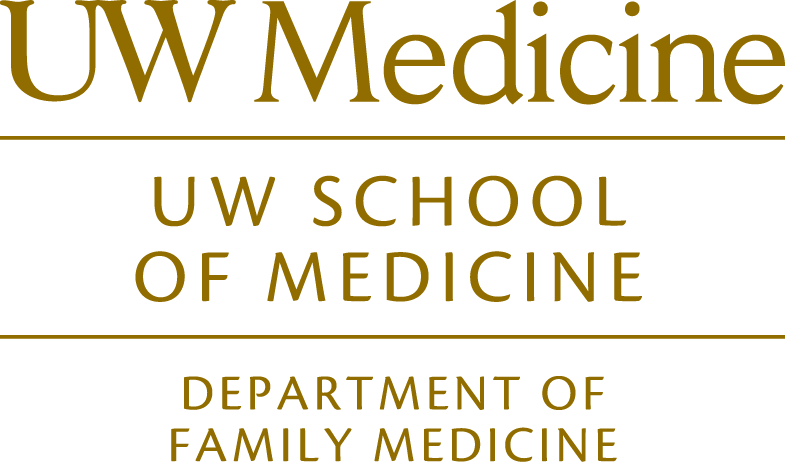 The academic development of Family Medicine is founded on a solid research base. All faculty in the department pursue scholarly activities that complement their clinical practice. The residency faculty in the Department of Family Medicine is well known for scholarly activity in innovative residency education and curricular development, the epidemiology of common medical problems, clinical decision making, maternal and child health services, and the evaluation and dissemination of clinical guidelines. Our research division faculty are very active in clinical research with a focus on integration of mental health and primary care services, cancer screening and care, tobacco and alcohol control, sports medicine, and the effect of climate change on health. The division is also closely involved in translation of research to practice and the development of a WWAMI Primary Care Research Network. They coordinate and run the WWAMI Rural Health Research Center and WWAMI Center for Health Workforce Studies. The residency holds retreats each year for R1s and R2s. The mornings primarily focus on the first or second year residents and the afternoons are often opened up to other classes for a time of interaction and team building or residents participate in didactic sessions. This time is spent getting to know each other and having fun. In past years residents have participated in the planting of over 500 trees and shrubs to restore nearby Magnuson Park, hit the slopes for a ski day, gone on a boat tour, and participated in an overnight retreat in the Western Cascade Mountains. We also have a residency-wide retreat yearly, in which residents and core faculty are excused from clinical duties for an overnight retreat where we get to know our colleagues, do team building activities, and spend some time reflecting about our experiences as doctors in training. Residents often get together and enjoy the multitude of activities on hand in the Seattle area such as biking, hiking, skiing, boating, scuba diving, sports and enjoying the multitude of diverse restaurants in town. They also go on ski trips and climbing excursions in the nearby Cascade or Olympic Mountains. There is no shortage of things to do in the area and no shortage of collegiality among residents.